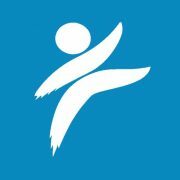 This video from Compassion International reveals some powerful truths! I know that watching it will impact your life in a positive way. This entry was posted in Activism, Advocacy, Christian, Compassion International, Compelling Stories, Complementary Interventions, Handicaps, Media, Poverty, Sponsorship, Trials, Women, YouTube and tagged Compassion, Compassion International, Compelling Stories, Women, YouTube.